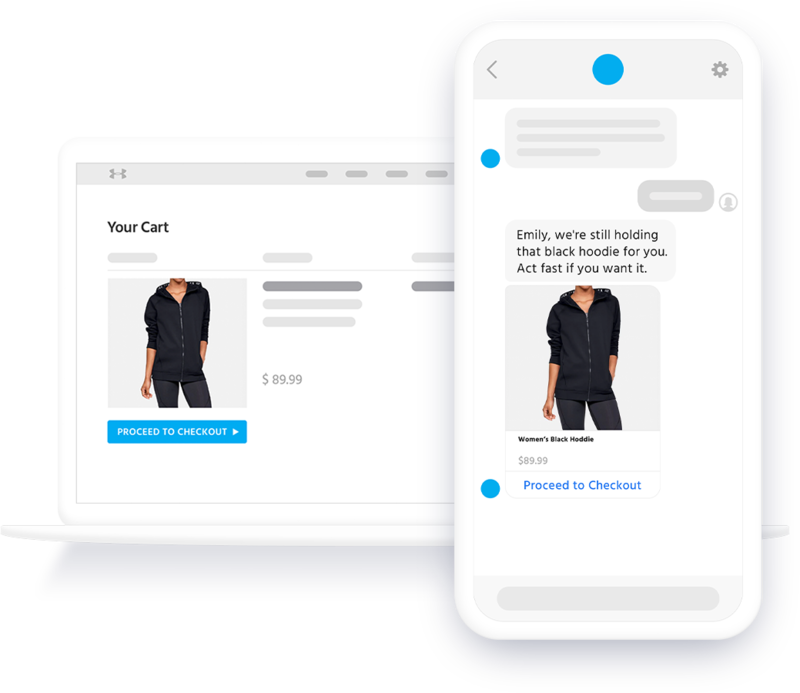 Convert more sales with conversational commerce. Deliver always on product recommendations and post-purchase care to deliver better results. Recommend products, qualify leads, answer questions and offer promotions. 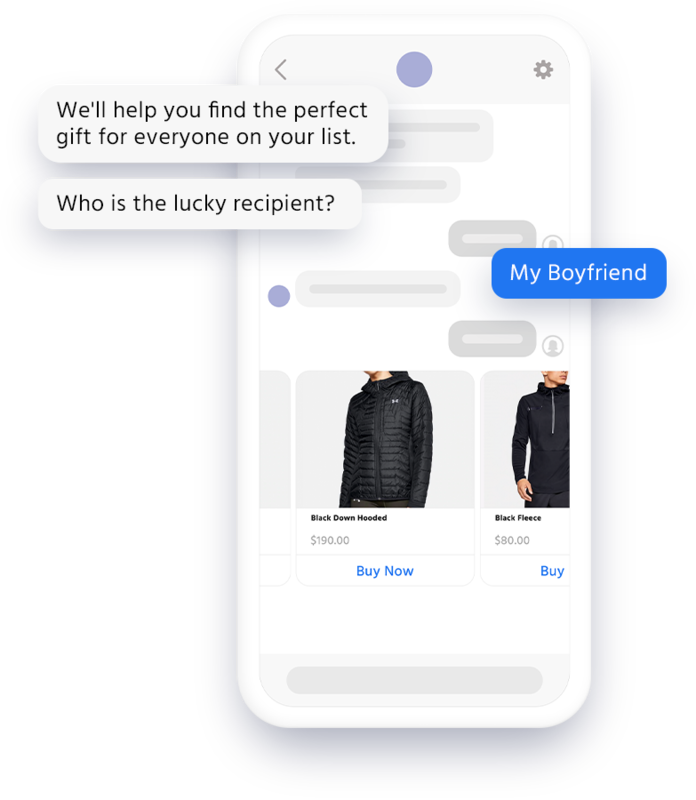 Conversational commerce improves conversions and reduces service volume, all while delivering best-in-market customer experiences. AI-Powered digital assistants can deliver guided selling experiences that are better at understanding context and driving conversions than unassisted site visitors. Deploy assistants on your site or in social channels like Facebook Messenger, SMS or in-app to improve experience and increase sales. 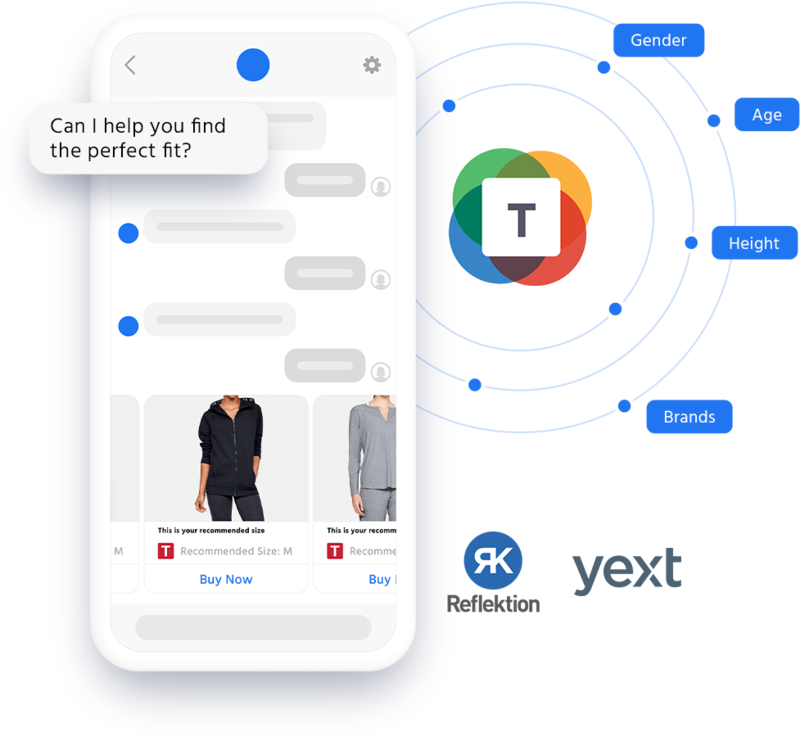 Snaps makes it easy to connect personalization tools like Yext, True Fit, Reflektion, and other third-party data partners to deliver 1:1, personalized experiences at scale. Leverage a new channel to recommend complementary products to your customers, either during or after their shopping session. Mobile messaging apps are a high performance channel to reconnect with customers post-purchase. Leverage high engagement rates to recover up to 20% of abandoned shopping carts with reminders, promotions and other automated messages. Snaps provides a solution that our customers clearly enjoy, driving 4x ROI in the process.